raise sympathy either for the Lancasters or the Yorks. and that human beings are mostly a mixture of light and dark sides. wanted to kill King Henry VI and Queen Margaret for that. I think, that is not historically right. That´s why I wrote a letter to Mrs Higginbotham. See for that letter below. years ago and that takes time. Go with me on the journey. 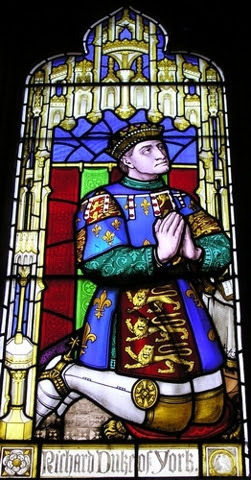 Edmund of Langley, fourth son of King Edward III. both of the House of Plantagenet. Duke of Somerset, later the bitter enemy of the Duke of York. The price of the fighting? itself, although then they were involved in a bitter fight already. to point it out as a major cause of the War of Roses. war, the diminishing of royal authority by usurping a throne. and the weak reign of King Henry VI. , Edmund of Langley [first Duke of York] and Thomas of Woodstock. of Antwerp, John of Gaunt, Edmund of Langley and Thomas of Woodstock. they remained childless] the second son, then the third and so on. And in that spirit Richard II acted. However, he died a year before Richard II. The reign of the House of Lancaster started. had inherited the heir presumptive right. with the House of Lancaster for the English throne. a superior claim to the English throne. descendants of Lionel of Antwerp , second son of King Edward III. Can you still follow it? and anointing a King was an almost holy ritual. a serious business, not undertaken lightly. with subsequent plots and rebellions. 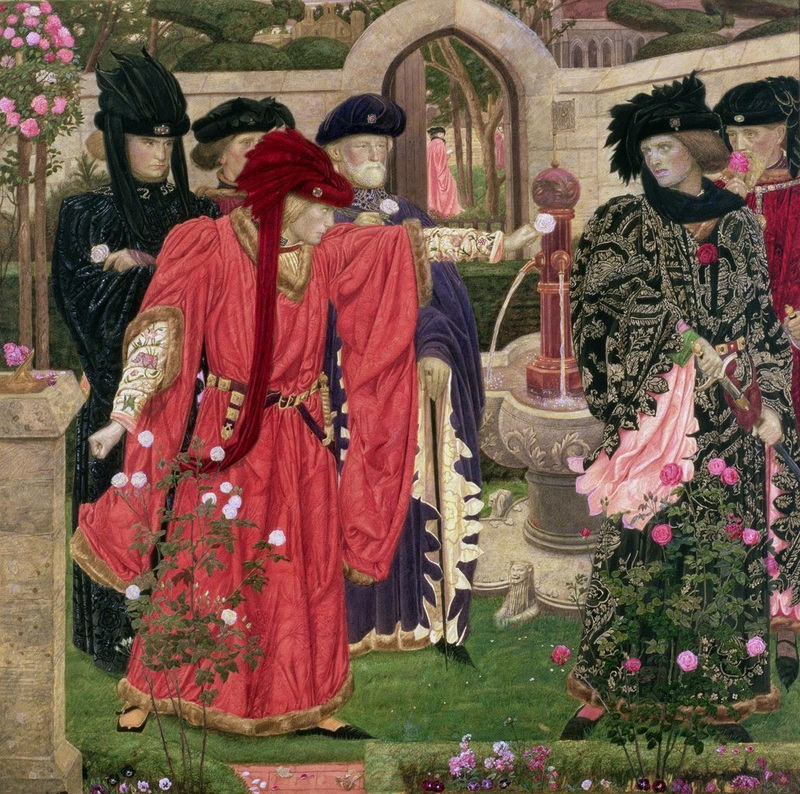 played a key role in the Wars of the Roses. the fact, that Edmund of Mortimer was only a minor. military, in the Hundred Years war with France. [for the English] finally came. then piece by piece the English lost French possessions. to give up Maine and Anjou . 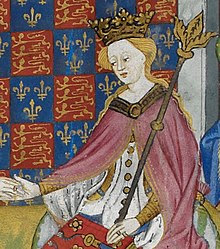 Somerset , who was a farvourite of Margaret of Anjou. because of their peace policy with France. There was also big discontent of English landowners about the financial losses resulting from the loss of their continental holdings. The Jack Cade Rebellion stemmed from local grievances concerned about the corruption and abuse of power surrounding the king’s regime and his closest advisors. And who were his closest advisors? [after Maine and Anjou] many people feared for a French invasion. against corruption and extortion by the Kings councillors. Most rebels were peasants, craftsmen and shopkeepers. by the citizens, who were initially sympathetic. Cade was arrested, despite he had been pardoned first. whom they considered a traitor. 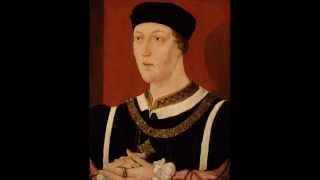 person and reign of King Henry VI. deeds and charity, but not as a ruler and a King. Not suited to a medieval King. warrior father, King Henry V.
noblemen sought to control the crown. Edmund Mortimer in 1425] his heir presumptive. Protector of the Realm and Chief Councillor. again and the country prepared for civil war. and the Duke of Somerset. the Yorkists, tensions flow to extremes, all hell burst out. A situation of an undermighty King and overmighty subjects. the King and the Duke of York. Margaret of Anjou for Somerset. were forfeited, the gravest punishment for noblemen. to be acclaimed as King, which failed. York and his heirs would rule. King, which infuriated Margaret of Anjou. Rutland, as his brother in law, Lord Salisbury. It is assumed, that Rutland was executed after the battle. Certainly, Lord Salisbury was executed afterwards. But the tides were turning. in the Battle of Townton and became King Edward IV. According some sources, he was executed after the battle. died in poverty in 1482. A sad and tragic end. son and heir, Edward V.
John of Gaunt) and Edmund Tudor. 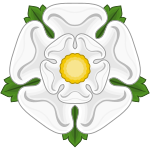 of York , daughter of King Edward IV. They became the parents of King Henry VIII. 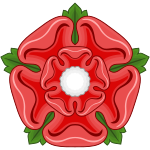 the House of York were united. White Rose covered in it. in giving a positive or negative image of the persons involved. and his heirs, he must have been hard and ruthless, too. A warlord, like his Beaufort enemies. Edmund, Duke of Rutland, on it. his rights to the throne. But historical fact is, that this is not altogether true. Modern historical investigation shows that. no importance, because she did not. killed in the Battle of Wakefield. charity and being forgiving were other characteristics. as a rule could be granted. no rival branches in the royal family. the harder sides of the King sometimes. with a superior claim indeed. wanted to play´´ the Game of thrones´´, she had to be tough. At the other side, her character limited her possibilities. a strong reign, since her husband was not able to do it. his action in a treacherous light, with escalating consequences. acts of Margaret of Anjou, but the fact, she was a woman. she did no worse than the men in that time. the Battle of Agincourt, yet making him a war hero. But that is another stand than critic, because she is a woman. but no more than the Yorkists did. but she also spared prisoners of war. York’s bitter enemy) feared that his own younger brother who was in Yorkist hands might be executed in reprisal. Fact is, she spared his life. So in her hardness, she had outburst of mercy too. especially (I admit that) when there are women involved. a peaceful solution still possible. And that has nothing to do with a man/woman thing, but with character. one must pity her fate. fought so hard and died in poverty. to be justified, but she was no worse than the men involved. She was no she devil. give a more balanced picture of Margaret of Anjou. Anjou´´, and ‘‘Myths about Margaret of Anjou”. I have some points of criticism. , in order to reach that goal. to the Duke of Exeter. givenby York out of a desire to come closer to the thrown. so a large marriage portion was not unusual. the throne, that was superior than the King himself. So there WAS already a claim. 1446 already, but there’s no historical proof whatsoever. 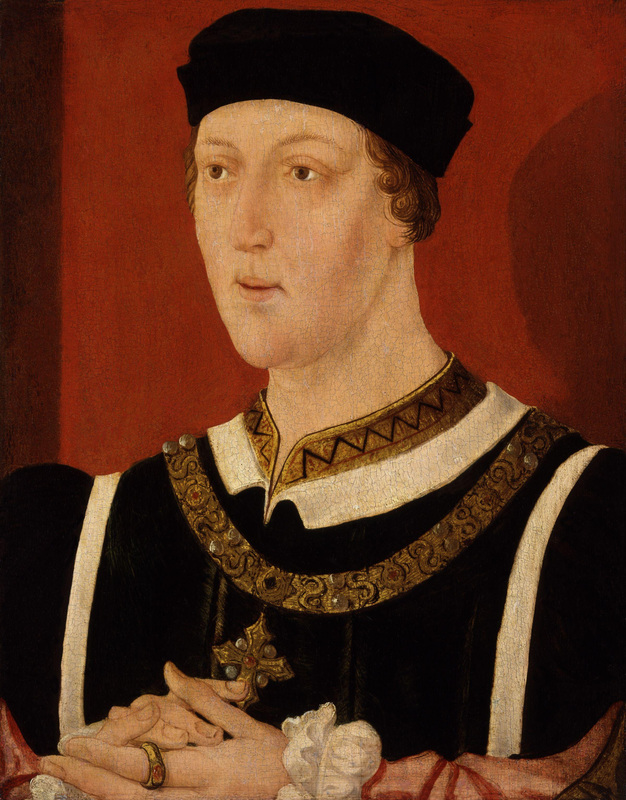 control over King Henry VI, and yet he did him no harm. of the Earl of Warwick, John Neville. in reprisal, so no proof of Margaret’s outburst for real mercy. But for the historical objectivity, Higginbottham should have made the same reservation as I did. First a word of compliment. The way it is written, moves the reader from the beginning. of the people around her. talking, having their own intentions, ambitions and dreams. of York, is the villain and the traitor here. and being a warrior, but he is no cardboard villain either. I refer to that later. too mild image of Margaret of Anjou. Rutland by Baron de Clifford. the light of medieval values. more is one thing, but cheering and applauding an other. threatening with the loss of a crown justifies just anything. CLAIMANT TO THE THRONE FROM THE BEGINNING? nephew and ally Earl of Warwick, the Kingmaker. Now it is clear, that those men were Saints at all. a fight to the death for the crown. sides and their dark sides. to kill both the King and the Queen. the whole book, from which an excerpt here. AFTER THE THRONE FROM THE BEGINNING? of hands completely and it went open war. the very beginning, makes no proof and no sense. have taken the thrown for 1460, but he didn”t. been banished for five years. At least the Duke of Suffolk, alas, had been killed. not only pure speculation, but higly unlikely. have done that, being the King in his power. but not a cardboard villain. I have written her underlying letter. his brother, Earl of Rutland, to their father the Duke of York. See some other interesting letters. Also the last Will and Testament of Margaret of Anjou. See below my letter to Susan Higginbotham. A Happy, Succesful and Properous New Year. May you write and sell many intesting historical novels to come. of Anjou and too prejudiced against the Duke of York. general and the Middle Ages, in particular. English medieval history is very interesting to me. the past (and present) as of other authors. can make a clear imagination. personal and human side of the story, facsinates me most. There you (and other historical fiction writers) come in. view) , the War of the Roses. of view of the House of Lancaster and York. By the way, about the claims to the throne. It never came to a rule, while he died a year before Richard II died. since they came into power by usurpation of the throne. Richard II), by his mother’s side. intrigued in the other historical persons too. nobles like the Duke of York. Hahaha, it was nearly hilarious! the different sides of the conflict. Not a way to reconciliate. the Duke of York with a paper crown. So that I must and will say to your credit. Also I valuate your blogs and your worthul research. Especially this sentence impressed me. saint of her, what some suggest. be accused from seeking the crown. to England as a bride) and easily to be influenced. foreigner in a country, still at war with hers and again, very young. of York far to prejudiced. from the start running for the crown. for there were moments, the throne was in his very reach. Eventually he went only to Ireland in 1449, to return to England in 1450.
they all were, not only York) alive. The seeds of conflicts were already seethed. could have done that long before 1460.
with actual meant/King by power, not by name. He could have grabbed kingly power than, but did not. When King Henry recovered in 1454, things escalated very quickly. York was placed out of power. did, would consider as treason. great. When they muster an army, they would be called traitors. have done him harm and seize the crown for himself. the King was not harmed in any case. the life of the King ¨(in Yorkist hands again) was safe. Eventually, parliament was summoned to meet at Coventry in November, but without York and the Nevilles. This could only mean that they were to be accused of treason. In December 1459 York, Warwick and Salisbury had suffered attainder. Their lives were forfeit, and their lands reverted to the king; their heirs would not inherit. This was the most extreme punishment a member of the nobility could suffer. and giving York a fair chance. and weakened the sympathy for her cause. how tragic her life, which I pity, of course. Of course York was not a saint at all. Those were the views of all noblemen in that time. Those are the ways of politicians even now. but that was on both sides, Lancaster and York. reproach the historians villifying Margaret of Anjou. views and hopefully you can use them in the future. myself I understand it, when you choose, not to react. More important is, that you know my opinion. case I will send you a copy. Wishing you much succes for the future.